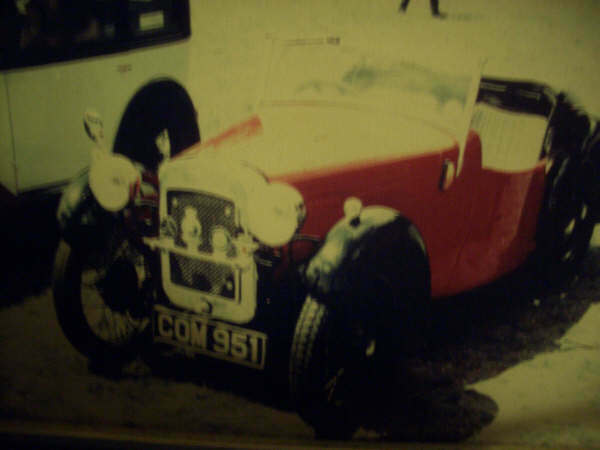 I first became interested in the Austin Seven when I was 16. My father employed students during the summer months one of whom arrived to the yard in a rather tired looking A7. I jumped in with Jason into his car, driving from job to job, following behind the firm’s lorry. This was an unforgettable experience, the noise of the engine – and noticing all these rust holes everywhere; you could see the road beneath your feet! When it rained, the wiper, though working was not clearing the screen. Upon reflection the water was collecting on the inside of the screen! When I turned round, I noticed that the water was spraying over my left shoulder, from a large rust hole over the wheel arch onto the screen. I thought this was brilliant and had to have an Austin; the seed was sown – I was hooked. The year was 1963, when the MOT had not long been introduced. In 1964, I passed the driving test first time but it was not till December 1965 when I saw a picture of a Nippy in Bill Williams Book Austin 7 Specials that I thought I would like one of those. An advert in the Exchange & Mart was placed for the Thursday edition. I waited patiently by the phone and not long after a young man from Wallington, Surrey arrived at my home with the Nippy. I had not seen many Nippies, only on my visit to the A7 National Rally at Beaulieu in ’64 & ’65. (two of early Rallies at Beaulieu), so I was not an expert and did not know much about them. It was quite dark when he arrived so I suggested we go for a drive by the Derby Grandstand at Epsom Racecourse. The car drove well, and we negotiated the £90 deal in darkness. The best buy I have ever made. Years of happy motoring followed, even in the face of the usual Nippyisms like the doors flying open when negotiating fast corners! In that time the engine was rebuilt, rebored; new pistons, rings, the crankshaft remetalled and new valves and guides fitted. It was then I realised it had an original pressurised engine with the David Harcourt oil pressure gauge. The number on the engine crankcase matched the number in the log book. The car went off the road in 1976, and lay under many sheets at the bottom of a garden shed for several decades until the early 1990s, that he car was resurrected, loaded onto the back of our lorry, and taken to Beaulieu where it created a lot of interest as it was fairly original. It was decided then that the car should be restored. With much help and kindness from Chris Gould and expert work from Robert Foreman, my Nippy is now on the road and great fun to drive. The Austin world is a great adventure, full of many interesting people with many talents – all good fun to be with. A visit last year to look at some original features on Bertie’s newly restored car discovered another find. 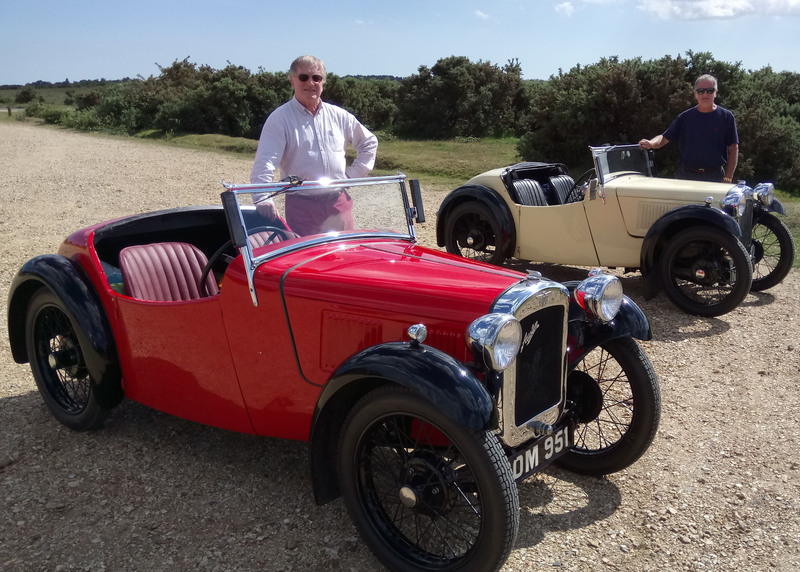 I had been looking out for an Austin 7 for a number of years. Albert and Chris Gould were giving me bulletins periodically as to what cars they knew were coming up or were for sale at that time from contacts they knew. Having worked outside in the open air for 47 years the idea of having an Austin with a hood I could take down was very appealing. Chris had a great friend Mark Paine who owned a Nippy and a Speedy. This friendship continued for many years until Mark died. 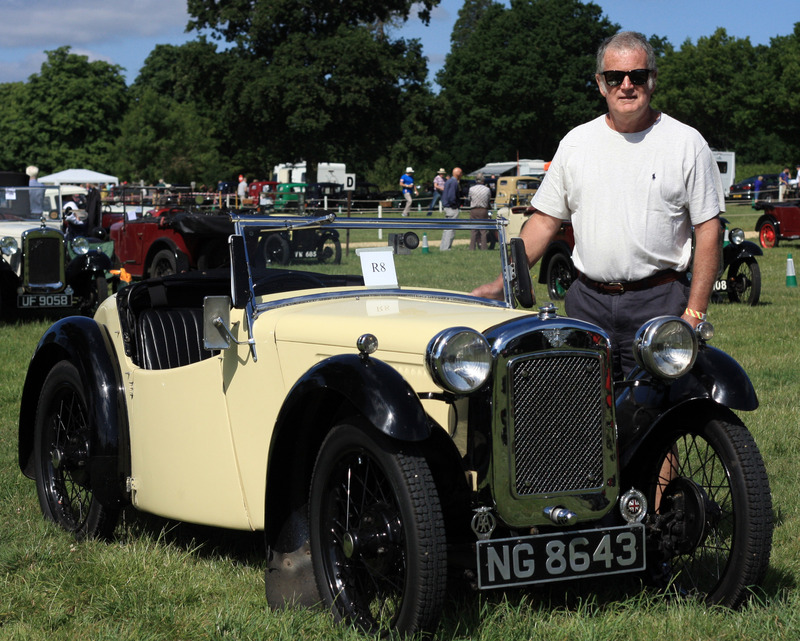 The cars were passed on to his son Martyn who had a keen interest in keeping them running. After some years they were “put to bed” in a lock up and there they stayed for many years. Albert and Chris asked around almost yearly at the Beaulieu Rally as to whether Martyn was going to sell the Nippy. After a many years of asking someone replied “Yes, I think so!” Contact was made with Martyn and a meeting was arranged to see the car. It certainly was an incredible find, untouched, almost completely original and not modified in any way. I purchased the car on 17th December 2003. I had no knowledge of working on an Austin 7, although, like most people who could drive in the 60s my first car was an Austin 7 (AYY 646 , a 1934 Box Saloon). Dear Chris said “Don’t worry Dave , you are passing the door on your way back to your yard, drop it off and I’ll get it up and running for you”. I was stunned into silence as you can imagine. So early in February 2004 I was driving my Nippy back to Banstead complete with an MOT ! I bought a pile of junk with the car amongst which was another genuine Nippy engine. I am lead to believe that Mark Paine rebuilt a second Nippy engine with an aluminium Alta cylinder head, and did other things to it “to see if it would go a bit faster”. It was this engine that was in the car when I bought it, so effectively I thought I was buying a spare engine but it was, in fact, the original, which is in the car now. A tremendous amount of work and time from Chris Gould and his “accomplice” John Hamilton went into getting the car up and running. I simply did not have the knowledge to do it all myself; I would have been lost. For example, the cylinder head came off, decoke, valves taken out and reground, new cylinder head gasket, plugs and points, condenser and rotor arm, front axle off, all new bushes reamed and assembled. New gearbox oil, engine oil, back axle oil, exhaust box rewrapped and new trafficator wiring system; new brake linings, drums checked. I was able to get the spares I needed from Tony Leslie, Tony Betts, David Wilkinson and Mick Maloney who were all so helpful, and a further amount of valuable advice from Ian Moore. So you can see, I had a jolly good start! 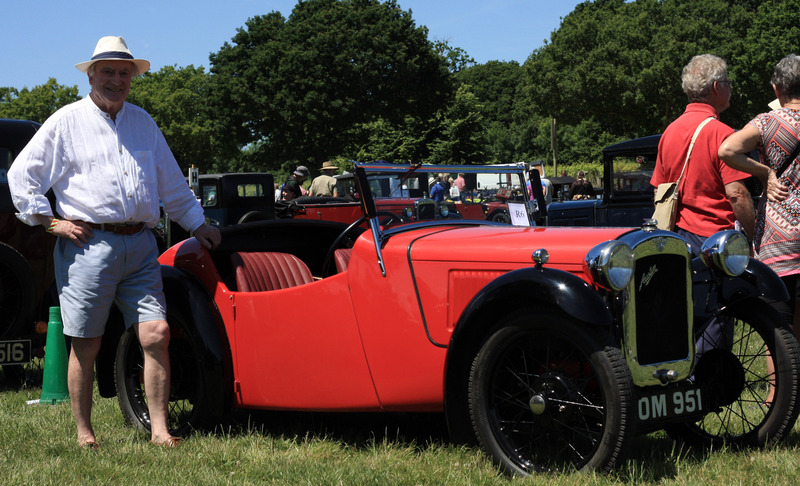 So watch out on Surrey roads for this Nippy duo – and have a close look at these cars if you see them at shows and are seeking to restore original features on your own cars.